The background story of the original novel and the later series is the crash of former astronaut Steve Austin in a “lifting body” craft, shown in the opening credits of the show (the lifting body craft mostly shown was a Northrop M2-F2, however in the episode "The Deadly Replay", a Northrop HL-10, identified as such in dialog, was used). Austin is severely injured in the crash and is “rebuilt” in a title-giving operation that costs six million dollars. His right arm, both legs and the left eye are replaced by "bionic" implants that enhance his strength, speed and vision far above human norms: he can run at speeds of 60 miles per hour (100 km/h), and his eye has a 20:1 zoom lens and infrared capabilities. 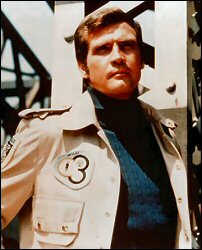 He uses his enhanced abilities to work for the OSI (Office of Scientific Intelligence) as a secret agent (and as a guinea pig for bionics). Caidin’s novel was a best-seller when it was published in 1972 and was followed by three sequels, Cyborg II: Operation Nuke, Cyborg III: High Crystal, and Cyborg IV (with no subtitle), respectively about a black market in nuclear weapons, a Chariots of the Gods scenario, and fusing Austin's bionics to a space plane. In the spring of 1973, Cyborg was loosely adapted as a made-for-TV movie starring Majors as Austin (although usually referred to by the title The Six Million Dollar Man, and that is the precise wording used on the original ABC broadcast, this film is sometimes cited by the longer title Cyborg: Six Million Dollar Man). The adaptation was done by writer Howard Rodman working under the pseudonym of Henri Simoun. 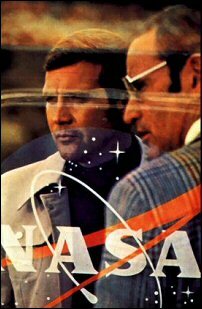 The film, which was nominated for a Hugo Award, modified Caidin's plot, and notably made Austin a civilian astronaut, rather than an Air Force officer. Absent were some of the standard features of the later series: the electronic sound effects, the slow motion running, and the character of Oscar Goldman (instead, another character named Oliver Spencer, played by Darren McGavin, was Austin's supervisor, of an organization here called the OSO). The lead scientist involved in making Austin bionic, Dr. Rudy Wells, was played in the pilot by Martin Balsam, then on an occasional basis in the series by Alan Oppenheimer, and, finally, as a series regular, by Martin E. Brooks. Austin does not use the enhanced capabilities of his bionic eye at any time during the film. The first film was a major ratings success and was followed by two more made-for-TV films that fall — 'Wine, Women and War' and 'Solid Gold Kidnapping' (the former bearing strong resemblances to Caidin's second Cyborg novel, Operation Nuke; the latter was an original story), followed by the debut, in January 1974, of The Six Million Dollar Man as a weekly hour-long series. The last two movies, produced by Glen A. Larson, notably introduced a James Bond flavor to the series and reinstated Austin's status from the novels as an Air Force colonel; the hour-long series, produced by Harve Bennett, dispensed with the James Bond-gloss of the movies, and portrayed a more down-to-earth Austin. In 1975, a two-part episode entitled "The Bionic Woman" introduced the character of Jaime Sommers, a professional tennis player who rekindled an old romance with Austin, only to experience a parachuting accident that resulted in her being given bionic parts similar to Austin. Ultimately, however, her bionics failed and she died. 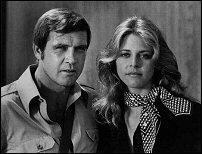 The character was very popular, however, and the following season she was revived (having been cryogenically frozen) and was given her own spin-off series, The Bionic Woman, which lasted until 1978 when both it and The Six Million Dollar Man were simultaneously cancelled. Steve Austin and Jaime Sommers returned in three subsequent made-for-television movies: The Return of the Six Million Dollar Man and the Bionic Woman (1987), Bionic Showdown (1989) — which featured a young Sandra Bullock in an early role as a new bionic woman; and Bionic Ever After? (1994) in which Austin and Sommers finally marry. Majors reprised the role of Steve Austin in all three productions, which also featured Richard Anderson and Martin E. Brooks. In 2007, NBC launched a short-lived reimagined version of Bionic Woman, starring British actress Michelle Ryan in the title role, which integrates elements of The Six Million Dollar Man by having Jaime Sommers equipped with an eye implant in addition to the traditional ear, arm and legs. Despite massive pre-air publicity the series lasted just 8 episodes, a victim of both behind-the-scenes creative wrangling and the 2007 Writers and Screen Guild strike which halted production on viritually every TV show that Fall.